I met a billionaire recently. I say billionaire, but I don’t know for sure. He was definitely a paper billionaire at one point before the dot com crash – whether he still is I’m not sure, but it seems like a fair bet. He is a serial entrepreneur who made his money by selling his tech business for >>$1bn (in an all-stock deal), a long time ago. He is now a Euro-elite type, being based on the continent and travelling frequently around Europe. As it happens, I got into a brief conversation with this chap about how he manages his money. I found it quite interesting. Here are a few snippets as I remember them. Let’s call him David. David has set up a Family Office which is where the money is managed from. He doesn’t have a ‘day job’ any more, but is clearly a busy guy. Are these three pots all equivalent? Public equities. While David is well aware of the ‘textbook’ investing approach (low fees, diversified assets, don’t try to beat the market, rebalance regularly) he doesn’t directly follow this; he employs some investment professionals to manage the money. I believe he diversifies widely, taking in commodities, hedge funds et al. Private equities. David specialises in ‘value-added’ angel investing, mostly (or possibly exclusively) in the tech sector. His investments vary in size from $500k to €10m+. He has 30+ such investments and is reasonably hands-on with several. My impression is he is looking for visionary, ambitious businesses based in Europe, where he can put some serious money to work – and he is not afraid of being the biggest shareholder. Real estate. He looks for real estate to ‘double or triple’. I asked ‘so, IRRs of 5-7%?’ and was firmly put in my place – “no; 5% would take 14 years to double; I am talking doubling in 1-2 years”. He is prepared to put in a bit of development/planning / etc effort to create value. He owns at least one large (100+ unit) residential block. Interestingly, he said “if I was simply trying to maximise net worth for least effort/risk, I would invest 100% in real estate”. He doesn’t appear to consider his c.£10m primary residence part of his investment portfolio. In some respects, I have a very similar approach to David myself, albeit at a much smaller scale. However, what I found interesting was that David clearly manages his money as one aggregated pot, with one total valuation. Whereas I think about my three pots very differently. In fact I only analyse one of my three pots in detail at all – the public equities pot. And as I think about it I have very different objectives for each of these three pots. Like David, I have done quite a bit of private equity investing as an ‘angel investor’ and, like him, my private holdings have a material valuation. But unlike him I don’t think of them in the same total asset pool as my other investments. For one thing, I can’t readily sell my private holdings. If I needed to raise funds, these assets would be almost completely useless. My objectives for these investments are only loosely around making a return – I also want to support talented people, ‘put something back’, and learn. As it happens I have made some very good returns out of this activity, but that is a bonus rather than the raison d’etre. For me, my public, liquid investments are really my ‘f**k you money’. I don’t yet have enough money in this pot to truly provide ‘f**k you’ independence in all scenarios – e.g. after I bought my Dream Home my liquid investment pot dipped well below a long term sustainable value, though it has now risen to a level where I could be quite career-limitingly offensive and survive the consequences. For these liquid funds, my objectives are about financial independence, which for me is about minimising the chance of running out of money, having a reliable store of value and source of income over the long term, and once that is secure, maximising my risk-adjusted net worth. I need this to be robust to changes in my circumstances – from a health catastrophe to a change of country or even, God forbid, a divorce. Partly because it isn’t quite enough for my liking, I track this pot carefully. Finally, like David, I also have significant real estate holdings – notably my Dream Home, my Previous House and some commercial property. But I think of these assets as either ‘not investments’ (my Dream Home) or as ‘pension income’. I have different objectives for these assets than for my liquid investments. For my Dream Home, I am looking for a convenient location, and a smile on my face every morning and every time I return home from work. For my other real estate assets I am looking for an easy life, low risk, never to be a forced seller, and having a predictable, inflation-proof income stream. I do find myself getting ensnared by some investments on the borderline between my three pots. For instance I do own some significant REITs / liquid real estate investments – and I find myself wondering if this is sensible given my over-exposure to UK real estate already. My biggest holding is a publicly traded company that began life as an angel investment and then IPO’d; does this mean I should reduce my exposure to fall in line with my diversification approach? I have some direct (and increasingly valuable!) holdings in AMZN and others, but I probably have a bigger exposure than I realise due to my passive holdings. Should I ‘x-ray’ my passive holdings to track such exposures? Overall, My approach means I barely think about my ‘net worth’. Instead I concentrate on investment income, my annual return, and the underlying drivers of my long term investment performance (costs, allocations, etc). Should I consider my assets more holistically? Should my objectives be more integrated? Suggestions, opinions or just brickbats very welcome. Fascinating read as ever FvL. For mine I think the goal posts move over the course of an FI journey. When we have little then net worth is a driver: the emergency fund, the arbitrary milestones (first thousand, first hundred thousand, first million, etc). Once we reach the point of having “enough” tracking net worth closely loses the allure it once held, aside from the ego element of keeping score. Funny thing happens around that point, the fear of losing it starts to dominate decision making more than it once did. Diversification (across asset classes, geographies, currencies, tax regimes, etc). Previously we didn’t care so much, but now that we can afford to then we start to worry about these things more. The personal interest areas also start to dominate. What floats your boat, where do you derive value (or pleasure) from investing scarce time, etc. Non-exec directorships, angel investments, larger scale property development projects, etc. For mine these are more about finding the happy (enjoying the thrill of the chase, satisfaction of a job well done, etc) than just about the money. To address your question, you have different pots with different goals, which is great. You also have some weighting preferences, which (presumably) apply across all your holdings rather than just in your public share holdings. Impossible to be confident/comfortable in the allocation goals without keeping an eye across the whole lot though. Deep diving into the individual holdings of a fund or public stock is a bit of a rabbit hole though… an Apple or Berkshire each hold investments, which may be in companies that hold investments, and so on. I think satisfying yourself you aren’t over exposed is probably enough. 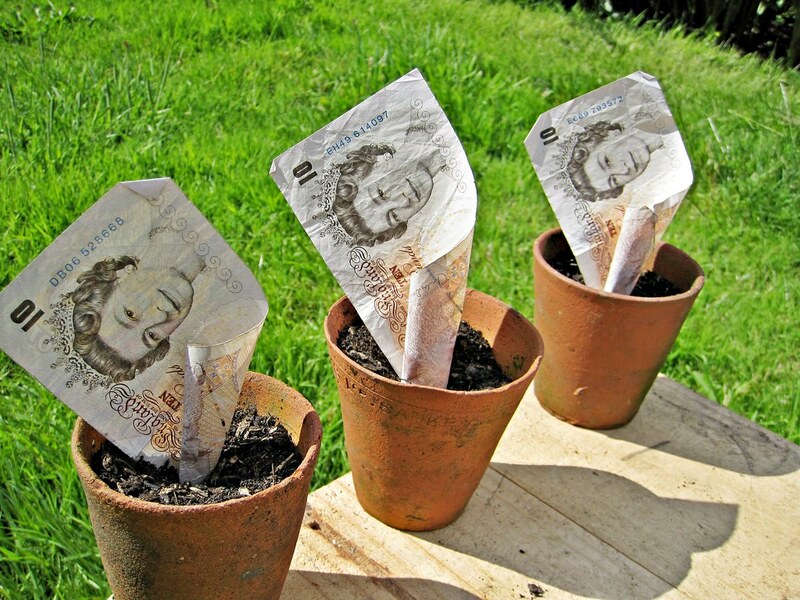 Well I hope each of those three pots will grow new tenners or your mate will be disappointed!! This goes to show that once you have a significant sum of money then a wider breadth of opportunities are on the table. When I first read this my first thought was that this is the wrong way round. He should have ‘fun’ money he doesn’t care about. But on further reflection it makes sense. He operates as the CEO of his money. For those of us at the average end of the spectrum most of our ‘living’ money comes from work. We want cheap, low maintenance investments so we have time to think about the work that pays. Even if we go ‘exotic’ and invest in a single start up, for example, we dont want to be that hands on as we only have so many hours in the day. So it becomes a separate pot of money, often considered throw away or delivering different value. This chap on the other hand can focus his entire time on his investments. He can hire people to focus on the nitty gritty, he can be hands on or not as he likes. But he runs it as the CEO rather than as a sideline that will hopefully pay off years in the future. Should you manage it like him – of course. Do you have the time / resources to do so? If like me you are dependent on your job then I would say it is very hard to do so. My 10 pence worth! I sort of have pots with different goals/criteria/thinking behind them, including similarly my new home and the debt that goes with it, my far more modest than thou unlisted private equity investment portfolio that I’ve been experimenting with, various other bits and bobs at different times, and the relative big daddy that is the investment portfolio, across it’s various platforms and destinations (e.g. ISAs, SIPPS, etc). I do run some of these as individual asset bases, give them their own sheet in the master spreadsheet, and wear a different ‘hat’ when thinking about them (e.g. own home obviously very different from portfolio! 🙂 ) but like David I also pull all their values into the top line sheet that gives me a mark-to-market-ish overview of for instance how diversified I am across all these assets at any moment in time, where any pinch points may be (typically liquidity!) and an approximation of my net worth. I would love to make this more comprehensive over time (for instance build in target ROIs versus actual historical and so forth, and some easy way to compare across them) but right now most of that is just in my head. Your billionaire has my dream job! I feel like I’m doing that in baby mode. Do what makes you feel comfortable, I’d say. You’re obviously doing something right. (Not least earning mega-bucks — I just don’t have the patience for it, ha ha). I think your approach is sensible FvL. The ‘three pot’ strategy is a common financial planning method. Its intuitive and reflects that we have several sub-goals for our finances. The most usual formulation is: one pot for income, one for growth, one for short term cash needs. In a way, your ‘three pots’ follow this kind of pattern. Your property holdings provide a steady (and hopefully painless) income stream. Your private holdings provide an opportunity for (substantial) growth. Your public holdings, as you say, act as a kind of store of value. It’s absolutely fine for your ‘pots’ to be constructed on a completely different basis to somebody else. It will depend on your personal financial goals. Likewise, the extent to which you need them to ‘work together’ depends on your what your overall objective goal is. To give an example, I have a house, which as an investment is there to protect me from future housing costs and to give me somewhere to live. I also have my investment portfolio for growth. But there’s basically no interaction between them; there doesn’t need to be! The three components to my overall net worth are driven by the liabilities I need to hedge. The first is property, 4 houses. One to hedge my current familiies need for shelter. Two other houses to hedge my two children’s need for shelter when they become adults. They have dual-citizenship, so one is in the UK, the other Australia. The last is the house I bought for my parents to live in; I will sell this to pay for their care. I feel broadly macro hedged against property prices. I clearly have basis risk; the spread between Australia and UK prices; South East vs. rUK etc but I live with that. This is 25% of my portfolio. The second pot is for my children’s education; private school and uni fees to age 25. When they were born I assumed education prices would rise a CPI+4%. So I bought a global portfolio of long-dated inflation-linked fixed income products that could hedge that risk. I hold these on an accrual basis (in MTM terms, it’s more than doubled in value over the past 7 years but I focus on the cashflow it generates vs the fees I’m paying out). This is <10% of my portfolio. The final pot, at 65%+, is discretionary. This is (hopefully) a perpetual endowment. It should support my retirement and also provide the children with enough that work is optional. I tend to keep my equity exposure lower than most (max 50%, usually lower), nearly all in trackers. Partly that's because I'm quite risk averse and partly that I don't see where my competitive advantage is. My educational background is a PhD theoretical physics, rather economics or accounting, and work wise 20 years in fixed income derivatives as a quant strategist and HF portfolio manager, not equity asset management. So while I do take risk in fixed income and fx (especially EM), equities are essentially just too left-field for me. I do a bit of private equity (tax tail wags investment dog) but frankly I think on a portfolio basis, the S&P tracker has still beaten them. I suppose I do have a fourth pot – my job. Given I get paid almost 20% of what I make, I'm in the situation that, even after tax, the return on my job is still comparable to the return on my personal portfolio. I do remember in 2009 considering retiring (I was mid 30s) but it hit me that I might need to spend quite a large amount of my day managing my portfolio (I sort of refuse to let anyone else manage it) and that would be dull. In that sense, I wouldn't be retiring at all. So I might aswell do my dull job and get paid for it than have to read the FT and Investor's Chronicle or something equally awful. When I retire I want to play computer games and that's it! do you have a spectrum and if so, do you still play games on it? I was a BBC Model B / Amiga 500 man as well! – think my mother still has them both somewhere – not sure I dare turn them on tho. Though Manic Miner was definitely best on a speccy. Unfortunately my ZXSpectrum 48k died. It was followed by an Amiga, a Mac (total error) and a string of PCs. I do, however, reminisce by using a Spectrum emulator to play classic Spectrum strategy games like Lords of Midnight on my PC. The problem is the best PC strategy games can be very time consuming; you really need to play them from dawn till past midnight, every day, for weeks on end. Oddly the wife doesn’t see this as acceptable!